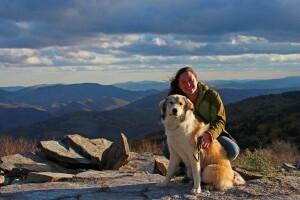 Hannah is a West Virginia native with a passion for the outdoors. She received a B.S. in Recreation, Parks, and Tourism Resources at West Virginia University where she served as President of the WVU Sierra Student Coalition for three years. Hannah is currently President of the Aurora Lights Herbal Medic Chapter and is practicing herbalism through our friends at The Human Path and the Commonwealth Center for Holistic Herbalism. Hannah served as an Emergency Relief Organizer through Aurora Lights during the Elk River chemical spill of January 2014 and the severe flooding events in June 2016. She has been trained by the Children and Nature Network as well as the Aldo Leopold Foundation to help children and adults appreciate their natural surroundings and the environment.